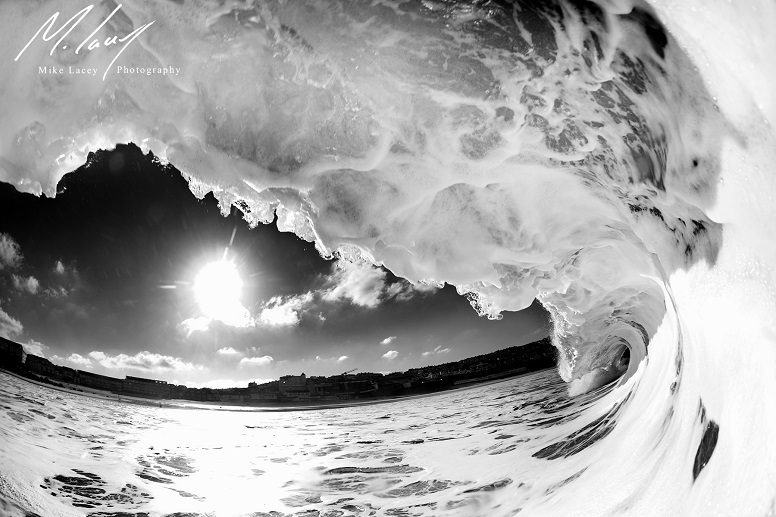 My name is Mike Lacey, I live in Praa Sands and I'm a full time Wave photographer. We are now in our fifth year with our gallery in Porthleven and our fourth year with our gallery in St Ives. 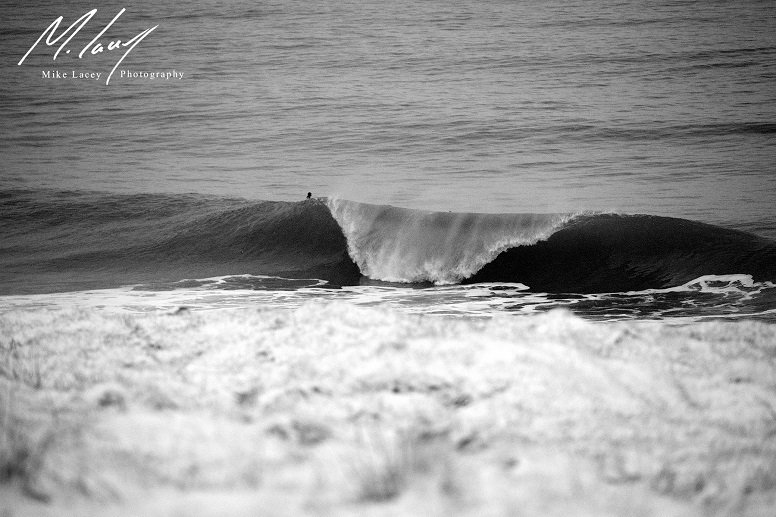 I take photos of waves all year around, but for me the winter months are the most rewarding. 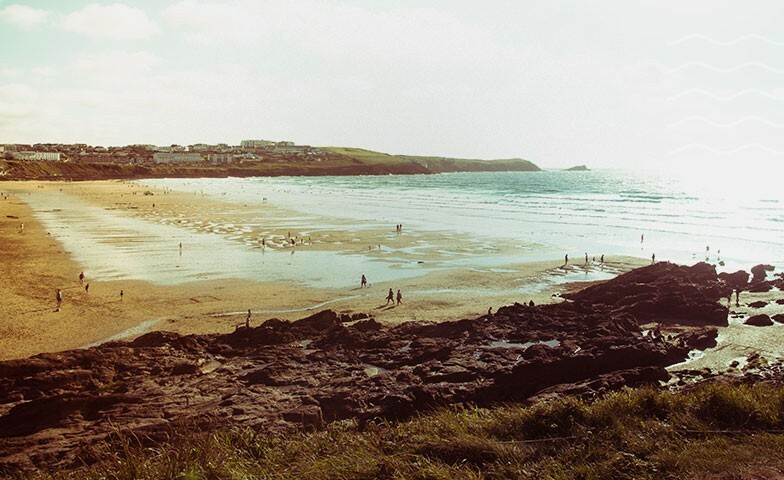 I love the unpredictable and changing nature of the conditions in Cornwall from cold, howling, stormy seas to warm, sunny, golden sessions. For me, being out there taking photos is like being out there surfing. Every surfer will know that feeling of being deep in the moment where you don't think about anything else apart from catching and riding that wave, or in my case, getting in the best position to capture that magical moment. It's the most amazing feeling to be reacting to the conditions around you instinctively, there is nothing better than holding your position and waiting for that huge wave as it grows bigger and bigger, closer and closer, trusting your instincts and getting in that perfect spot to be completely engulfed. 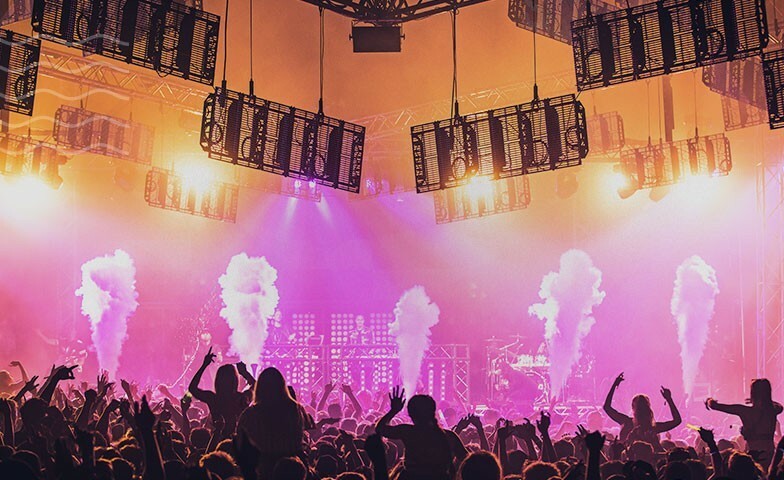 I get to relive all those feelings again as I look back through what I have captured back at the gallery and being able to bring these magical moments to life by printing them is the final icing on the cake. 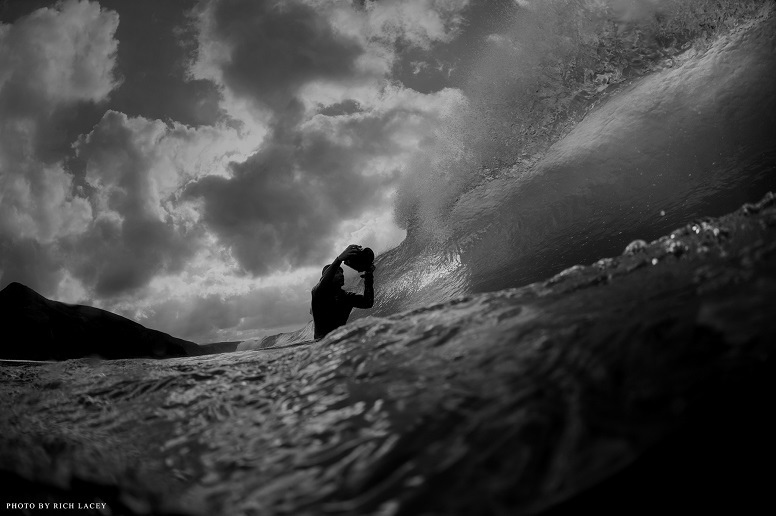 I will be chasing the swells around Cornwall for as long as I can. 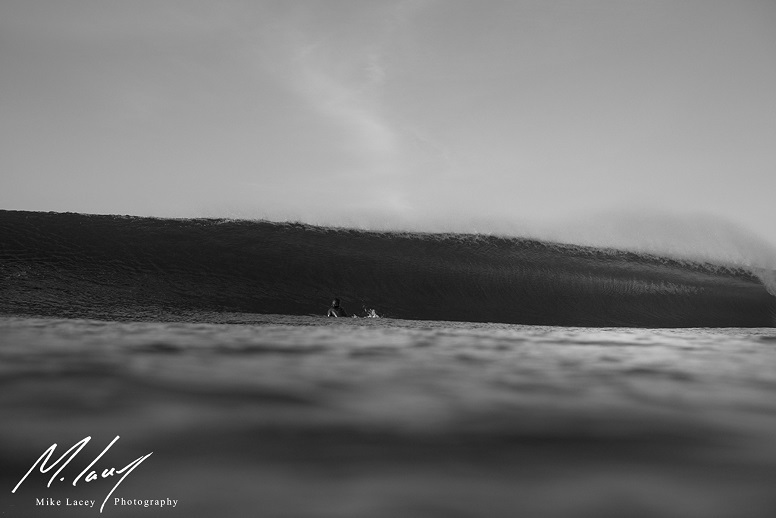 Documentary style wave photography addiction. Do you have any passions that influence your photography style? My passion for nature, skating and surfing has inspired my photography to where it is now. Do you have a favourite place you like to shoot? 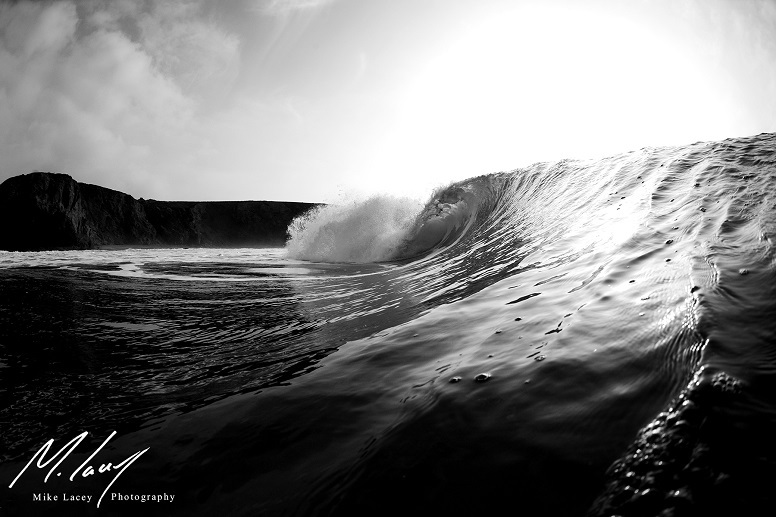 My best place to take photos is in Cornwall at any spot that has the best waves on the day. There are so many great spots and I honestly don't think I have a favourite, I enjoy the variation of different waves so Cornwall is perfect for this as it's rarely good at the same spot twice in a row. This year we are trying to do some video blogs of days out taking photos which is going really well and hopefully we will be submitting a short film in the London surf film festival in September. I shoot on Nikon camera equipment and recently I have been filming on the Panasonic GH4 which I love. I think If my work can make the viewer feel like they are there, or want to be there, then that's perfect. 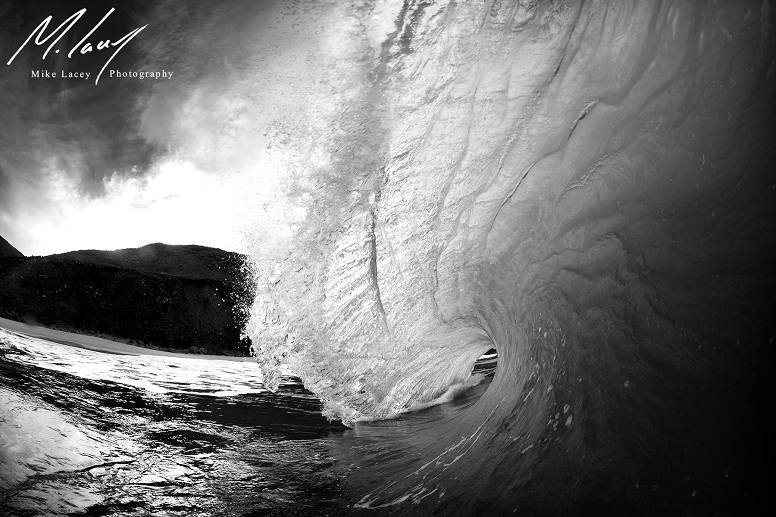 The list is long as there are so many great photographers out there but I'd say Clark Little, Ray Collins and Zak Noyle, to name but a few. Have you any tips of advice for someone wanting to get into photography? Get out there as much as you can and don't stop working really hard until you get where you want to be with you photography. And once you get there, don't stop working hard so you can allow yourself to keep doing it. One of the best days I've ever seen in Cornwall and we had waves like this for the whole week. 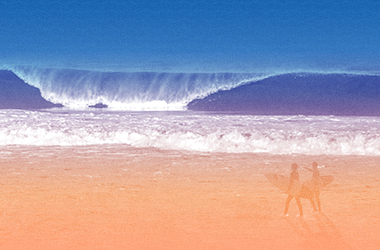 It was like being on a surf trip abroad. 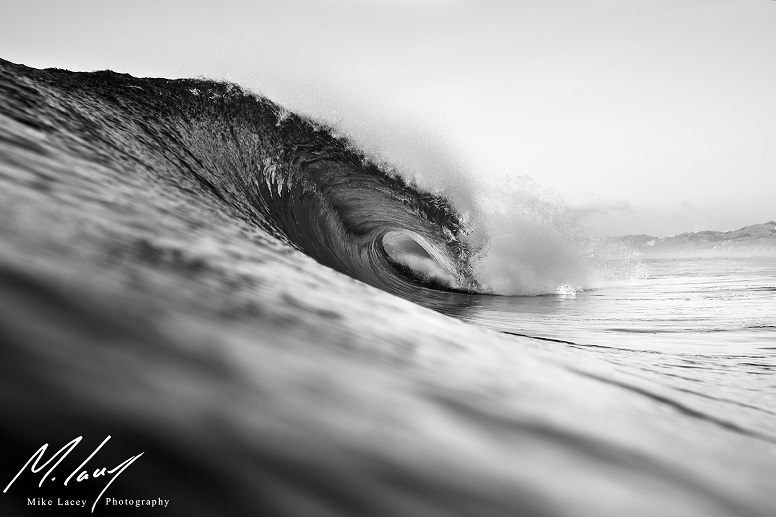 I really love the texture and feel of this shorebreak wave. It sums winter up perfectly. This was a wave that came after a huge set wave so you get all the foam from the first wave being picked up and thrown over. I really like the composition of this one. 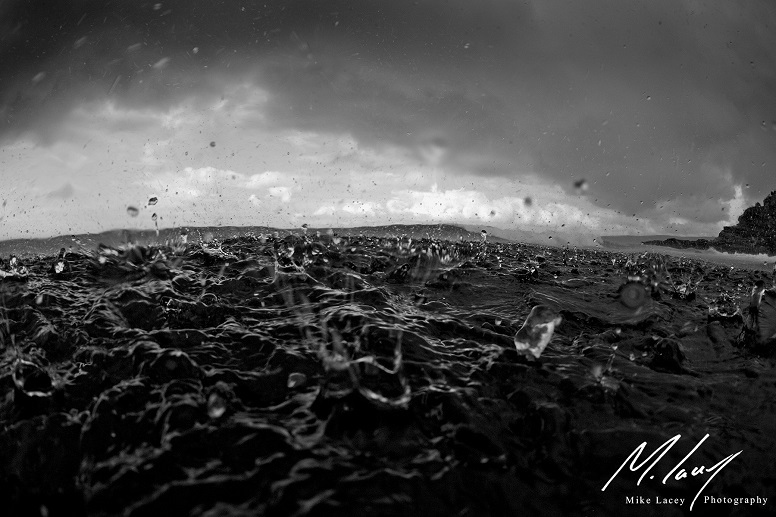 Being in the middle of a storm while taking photos can feel pretty eerie but makes for some awesome moody shots. 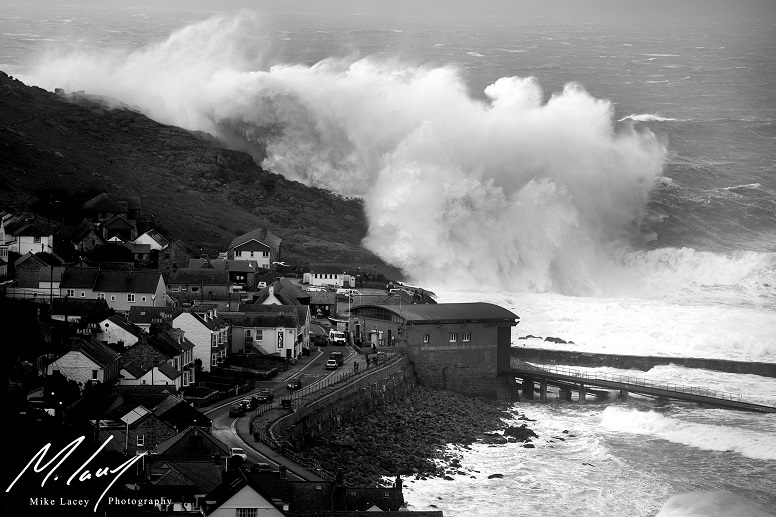 Huge winter storm down in Sennen back in 2014. 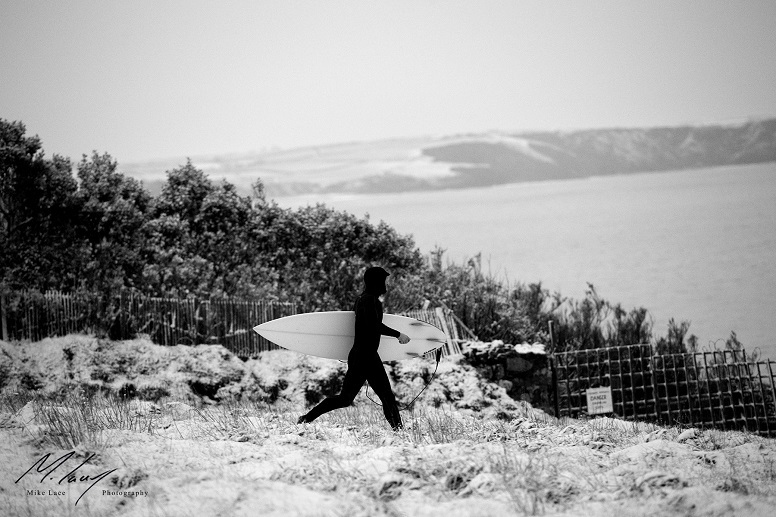 Best birthday surf I've ever had back in 2013, perfect barrelling waves with snow to go with it. Will Boex making the most of living the perfect condition. Not every image looks good in black and white but when you get the right tones and textures like this one there is no other way than to go black and white.